AndroGenRx™ is a specifically formulated compound designed to improve athletic ability and sexual performance. When used in conjunction with basic exercise, AndroGenRx™ will enhance your physique by promoting lean muscle mass and burning off unwanted body fat. 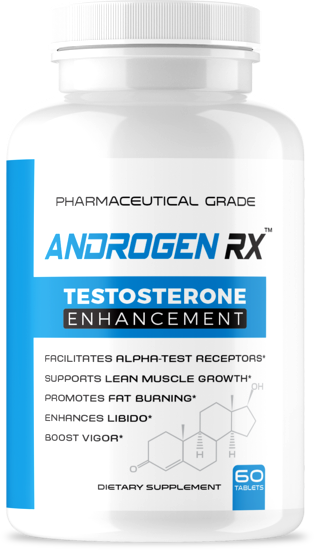 What Sets AndrogenRx Apart From Other Testosterone Supplements is This . . .
AndroGenRx™ is the very first hybrid pharmaceutical grade testosterone supplement developed. The compound was carefully formulated to offer the benefits of both a testosterone booster, and a male enhancement pill. The benefits of this unique formulation is that users not only make improvements in their physical fitness, but sexual fitness as well.